When you think Korea you think galbi, kimchi and soju! 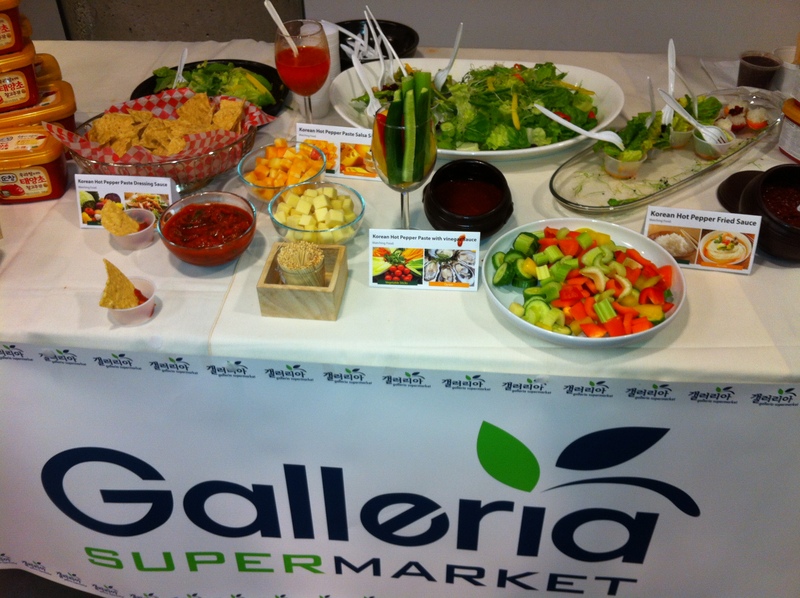 Rarely would someone think salad, salsa and veggies! 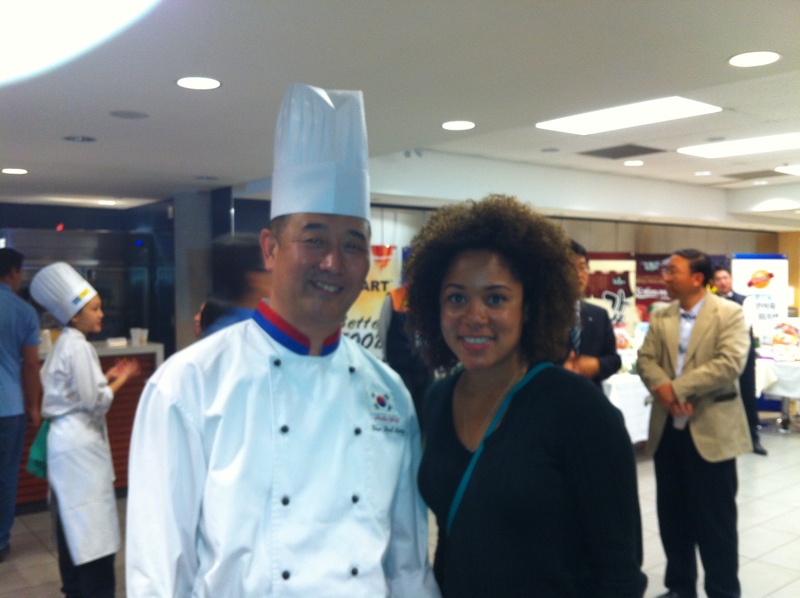 But at the 2013 Rendez-Vous Korean Cuisine I had the opportunity to taste a Korean take on those items! I must start off by saying my fridge is always (and I mean ALWAYS) stocked with kimchi, kochujang and ssamjang. They are my best foodie friends! But my perspective on how to use them was very limited apparently. KOCHUJANG: I use you in soups and for bibimbap…..BUT WAIT THERE’s MORE!!! At this event I realized Kochujang is a great ingredient for mixing with salsa to make chips and salsa a bit more “mashessayo”! I also learned you can mix it with vinegar for a healthy a spicy salad dressing and also mix it with sesame oil and spices for a fresh veggie plate dip! You had better believe these new kochujang recipes will be put into regular circulation at my place! The more things I can Korean-ize the happier my belly will be! Enjoy your Korean eating and let me know your favourite recipe that uses kochujang!! !